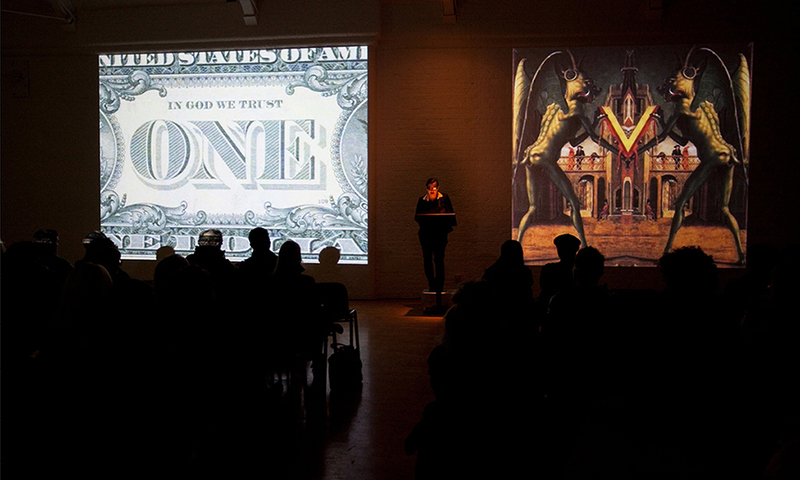 Lecture/performance, 40 min, with double slide projection. Commissioned for the series Night & Day Performance Week-End at Modern Art Oxford, 2010, photo by David Tolley. Also performed at HEAD, Genev and in IEA Paris, 2015. Text of the performance published in YEAR magazine.